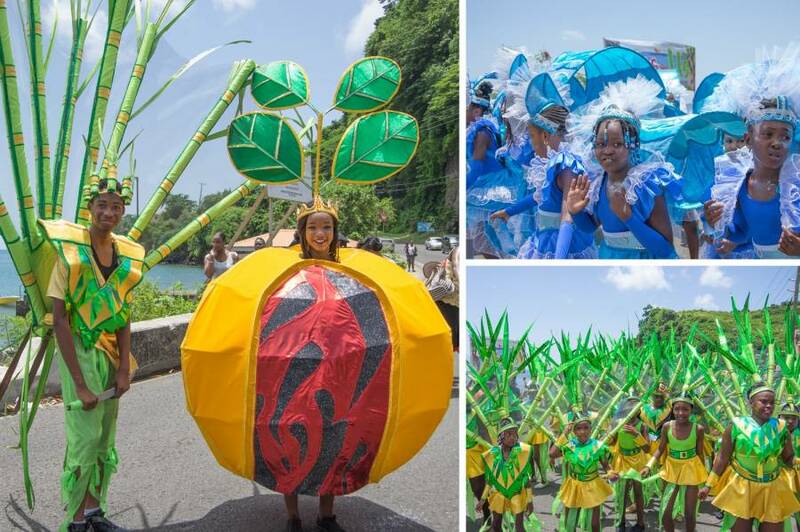 Brimming with pageantry and artistic expression linked to Grenada’s, African, French, British and Caribbean heritage, Carnival is colourful, humorous and full of surprises. This is a time when the nation comes together to enjoy the celebration of its history and culture in the most picturesque manner, and welcomes hundreds of visitors to do the same. One week before Carnival Saturday the main events are preceded by the Children’s Carnival Frolic, held this year on Saturday, 5 August at the National Stadium. The importance of this event lies in the opportunity it affords, generations of young Grenadians to be involved with, and learn about, the importance of Carnival as a cultural expression and part of their heritage. These young participants will be the next generation of masqueraders; playing ‘mas and the keepers of the country’s traditions and culture. With this important baton pass of responsibility in mind, Guardian General Insurance (OECS) Ltd once again lent its support to Commancheros & Associates ‘This Is Us!’ through the sponsorship of the children’s pageantry section of the band. The Children’s Carnival Folic began with Junior Panorama, where 8 bands competed, followed by the individual traditional and fancy masquerades portrayals. He added, “It also allows a window for showcasing the talent of the nation’s youths, and may even give them access to the regional and international arena. That’s why we are very pleased to have been able to support Commancheros & Associates over the past 5 years to date.